I think it’s pretty universal among long-term cohabiting humans that your mate’s habits can be either sort of quirky and adorable or absolutely infuriating and borderline unforgivable – depending not on the habit but entirely on the state of the relationship/mood of the other partner. My husband, for instance, is actually biologically incapable of closing a cabinet door. When he and I are otherwise getting along and I’m in a good mood, I close the cabinets myself with a shake of my head and an affectionate smile. If we’ve recently had an argument and/or I’m crabby, I will scowl and slam the doors shut. And so it is with New Orleans. When it’s 78 degrees in January and I’m drinking a Bloody Mary with the sun on my shoulders, the city can do no wrong. Its dysfunction is charming. But when it freezes and all the pipes also freeze and the toilets don’t flush and we have a boil order for days and schools all shut down, then suddenly every other flaw is magnified and I start having fantasies of moving somewhere, anywhere else. Right now, I’m in a good place with New Orleans. The marching bands are practicing, Mardi Gras is just around the corner with my mom and daughter both marching/skating in subkrewes, and my husband and I just had a delicious Valentine’s Day lunch at MoPho. That’s probably why this series of texts I got from a friend struck me as hilarious instead of giving me a rage aneurysm. I couldn’t help but laugh – I know it’s not actually funny but worrisome, but what can you do? 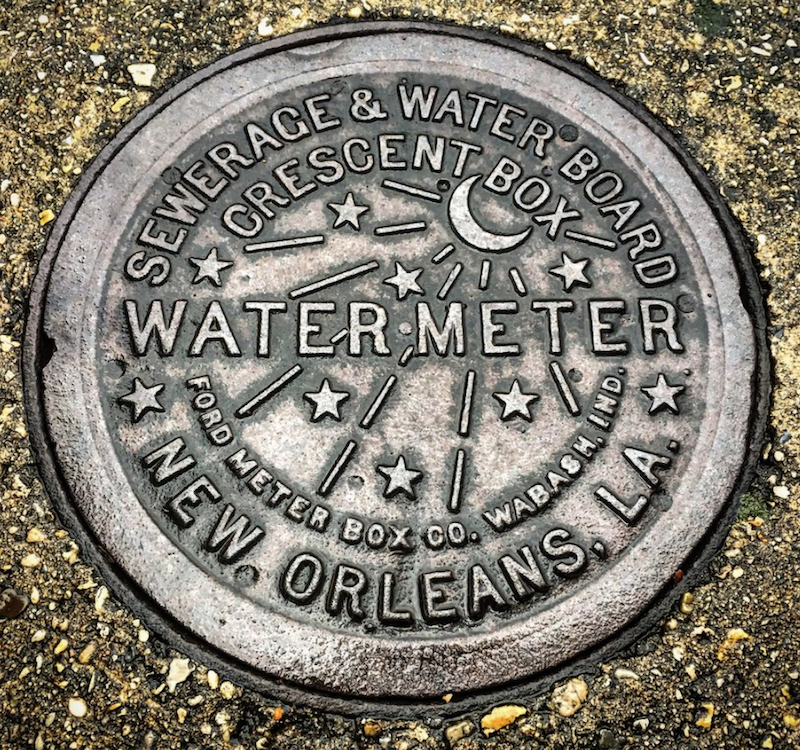 Fixing the Sewerage & Water Board is a much bigger job than just closing a cabinet.